Dr. Toombs is a 20 year industry veteran and an experienced cardiovascular pharmacologist working in the preclinical stage of therapeutic product development. Currently, Chris is a co-founder and Chief Scientific Officer of Proniras Corporation, joining the company as its first employee in late 2017. Chris was also a co-founder and Chief Scientific Officer of Faraday Pharmaceuticals beginning in 2014. Prior to Faraday, Chris served as Senior Director Preclinical Development at Ikaria from 2006-2011 where he was responsible for the IND enabling studies and the commencement of the first in human study of IK-1001. 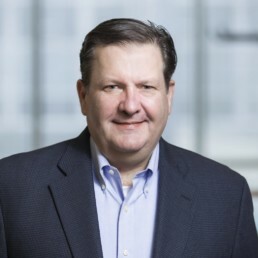 Before Ikaria, Chris served in increasing roles and responsibilities in research and product development at Amgen from 1994-2006 and arrived in the Seattle area following the Amgen acquisition of Immunex in 2002. Chris graduated from Wheaton College with a BS in Biology and continued on to earn a PhD in Physiology-Pharmacology from the Bowman Gray School of Medicine at Wake Forest University. He completed a postdoctoral tenure at Upjohn Laboratories and is a current Diplomate of the American Board of Toxicology. Chris enjoys golf, downhill skiing, music and cooking.